There's always time for a coffee break, especially White Stuff's Coffee Break top. With an all-over graphic print, it features a striking colour palette and has a flattering V neckline. There's always time for a coffee break, especially White Stuff's Coffee Break top. 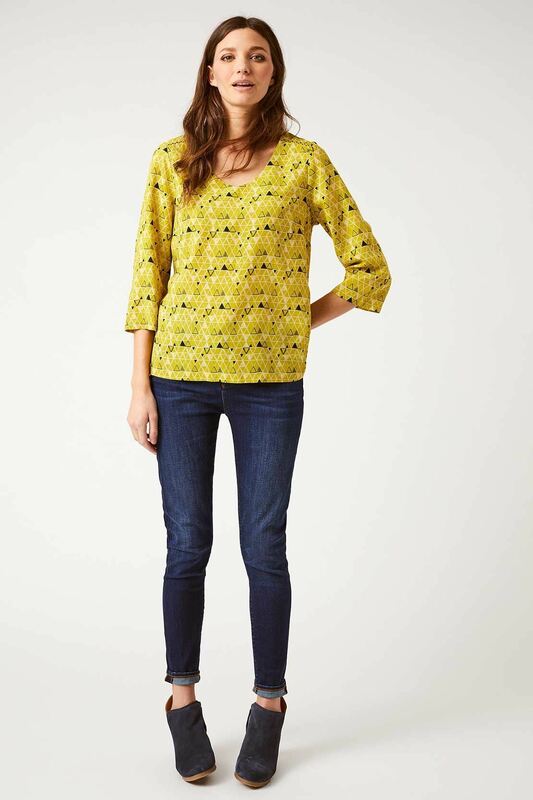 With an all-over graphic print, it features a striking colour palette and has a flattering V neckline. Easy to dress up or down, this top is just what your wardrobe ordered.